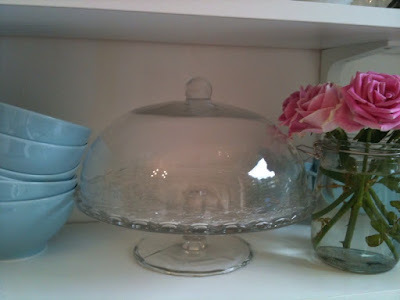 Admiring Pretty Things: IKEA finds. There is something extremely therapeutic about a trip to IKEA. Just walking into the place triggers a bit of excitement at the thought of new beginnings. A chance to start afresh. To wipe the slate clean. am not really mad about the furniture. At almost 100 years old, I am over the whole planned obsolescence thing. I have chucked my share of IKEA sofas in my day. 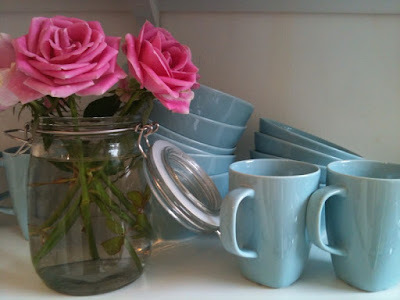 Let's face it though, crockery breaks over time and you can never really have enough of it when it comes in this absolutely to die for shade of robbin's egg blue. 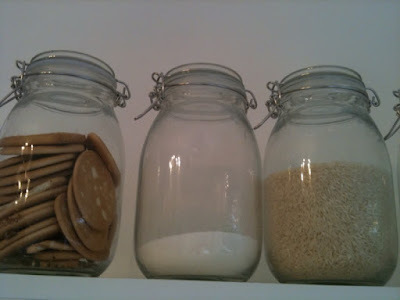 Can't go wrong with about 15 of these jars for storing everything from rice, to crayons. What about this cake plate!!!!! So sweet. I put cupcakes on mine this afternoon and the kids and I all sat down to a nice afternoon tea. Aren't I just the next June Cleaver! Not really. I bought them at Drummoyne Bakehouse on my way home from IKEA so I could use my new cake plate. 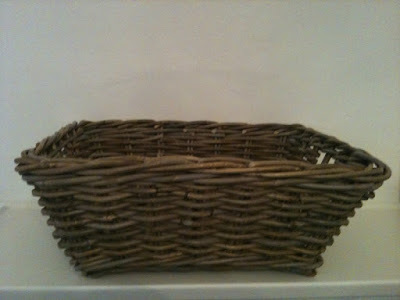 Great basket for magazines, Thomas trains of whatever else is lying about and would look better shoved in a basket. Oh and these are not from IKEA, but from a little shop in Lane Cove called Living and Giving. 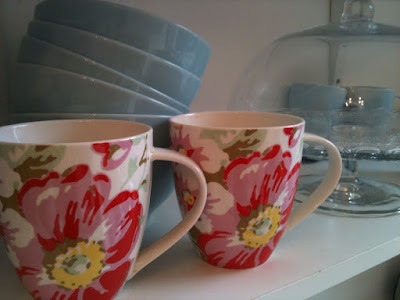 Couldn't quite believe my eyes when I saw a Cath Kidston print in Sydney. Apparently she has licensed her designs to Queen's Kitchen. Lucky old me scored the last 2 in the store. BTW have you seen "500 Days of Summer". Divine movie. Out now on DVD. Awesome IKEA scene in it. Loved it. See it. great finds! LOVED 500 days of summer :) have you seen Crazy Heart yet, you need to! Next time you head to the IKEA mothership let me know - we could do some wonderful damage together. I must say that one visit in 5 years to Ikea doesn't exactly make me a fan. Or perhaps I would find myself drawn to the cheap stuff?